A glass shelving system or individual glass shelves provide a practical display option that also looks contemporary. 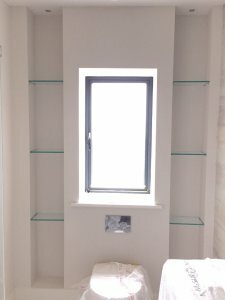 Glass shelving gives you an unobstructed view of your displayed items. Glass shelves are processed in-house in our state-of-the-art factory.